The Port of Antwerp Authority and Antwerp blockchain start-up T-Mining have announced a blockchain-based smart contract for managing some aspects of fruit shipping, which was developed together with Belfruco, Enzafruit, PortApp, 1-Stop and T&G Global. Currently exchanging the paper-based certificates is managed by courier, as the port and T-Mining explain: “The food agency in New Zealand is responsible for issuing the phytosanitary certificate. Subsequently, the New Zealand exporter sends this certificate – together with the fruit – to the Belgian importer. The latter transfers the certificate to the forwarding agent, who in turn has to hand over these certificates to the Belgian authorities so that they can inspect and approve the certificate before releasing the cargo of fruit for import in Belgium”. This is exactly the type of manual document managing that blockchain can replace. “Now, the New Zealand exporter will transfer this digital certificate to the Belgian importer, Enzafruit. It transfers it to Belfruco, freight forwarder within the SEA-invest group – which in turn has to transfer these certificates to the Belgian authorities before releasing the cargo of fruit from the SEA-invest terminal”. Filip Heremans, Chief Product Officer at T-Mining, noted that blockchain also solves the problem of who holds the original documents. “Blockchain technology allows to transfer documents without duplicating them, so there is only one party that owns the original document at any time. On top, the blockchain guarantees the authenticity of the document – as no one can change or delete anything unnoticed – one of the key characteristics of blockchain,” he said. With blockchain the flow of information between parties is governed by “Smart Contracts” covering access, adding new information, and sharing. “Because blockchain is a back-end technology, we work together with PortApp, which develops the front-end application so end-users can upload, transfer and approve documents via the blockchain,” the companies added. As noted above the blockchain is also integrated with the 1-Stop Port Community System, which is used at some ports in New Zealand. “Digital connections between international Port communities is crucial for achieving growth and innovation. 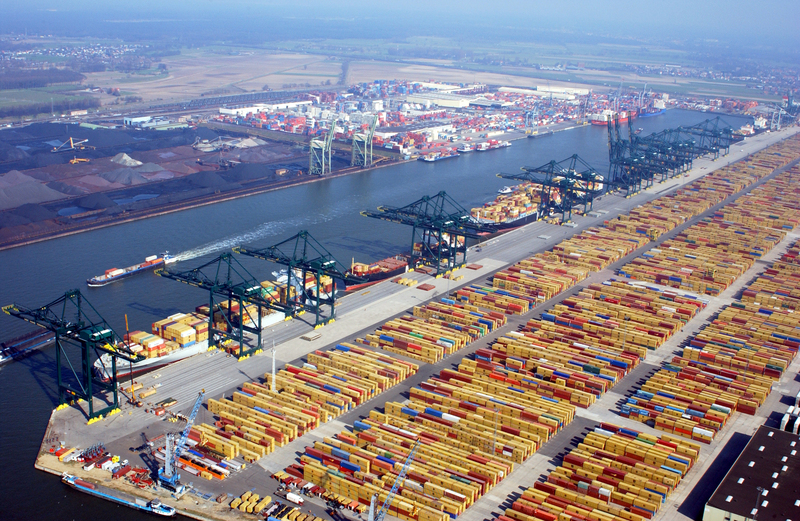 For this project we work closely with the Port of Antwerp to test a complex and high-tech solution on an international scale,” said Michael Bouari, CEO of 1-Stop Connections.